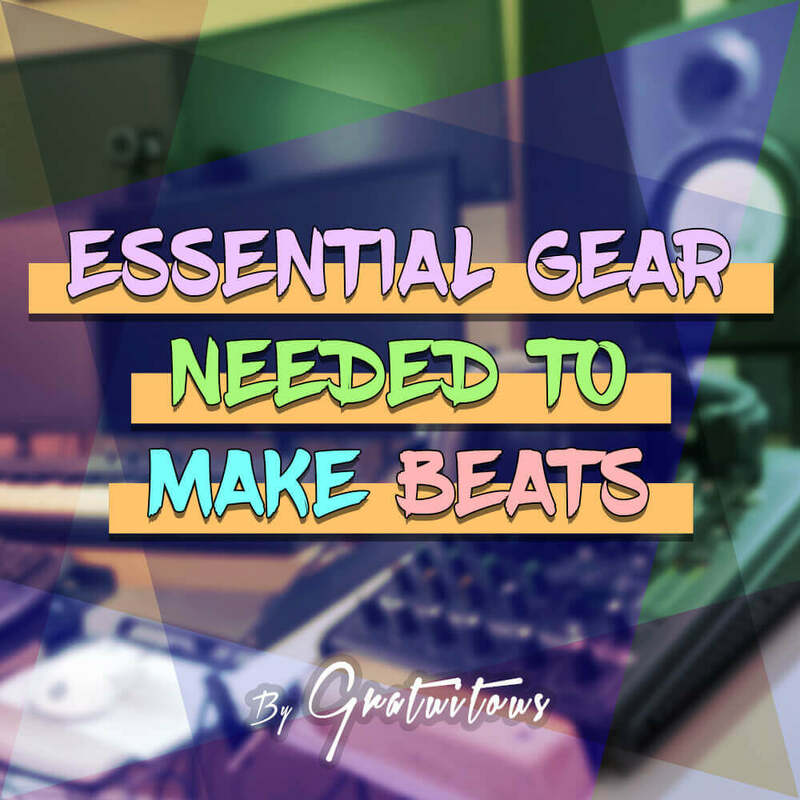 In this write-up, I am going to cover with you the required beat making equipment to make beats. I want to guide you through this process and make it very easy for you. For me, it was a friend of mine. I was at his house one night and he introduced to me to FL Studio. I went home and downloaded the demo which I used for about 3 weeks until I actually purchased the full version! So why does this question matter? Well, how you were introduced to making beats can dictate what type of beats you’ll want to create! Since my friend was producing original compositions (and not samping), I was encouraged to create original compositions. But if your friend was into authentic hip-hop which includes sampling vinyl, you may have a different approach; an MPC or Maschine Studio could be your main tool for production! What Gear is Actually Needed to Make Beats? 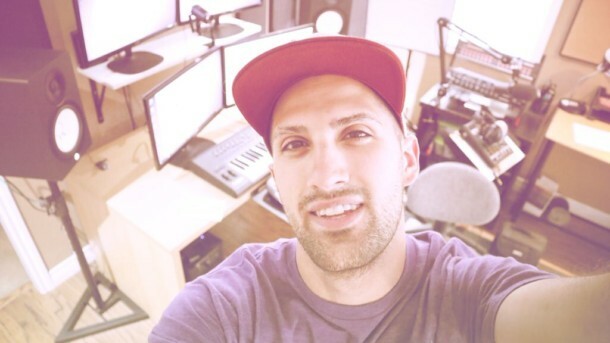 Technology has made music production affordable to almost anyone! A studio that cost $100,000+ back in the day, is now obtainable for about $1000 bucks! The hardware required to run a professional studio is now bundled inside your DAW! Things such as EQ’s, compressors, and effects like delays/reverbs. Nowadays we can simply undo the effect, or just dial it back a bit if we want.. But before, a lot of the choices were permanent, or you had to write down all the knobs/sliders positions on mixing consoles if you wanted to recall a mix for a revision! So long story short, the industry has changed. It is now affordable to make beats at home off a laptop! There is a difference between making beats and recording songs. Recording songs requires some more equipment.. but also more skill, in my opinion! You must know how to play the instrument, and sing/rap well, to get a solid recording for an awesome song. It’s really easy to create a good song from an awesome recording, but hard to turn a poor recording into an awesome song. Once your audio is recorded inside your computer, things start to get on the same playing field when comparing making beats to recording songs. The only difference with the recorded audio is you are kind of stuck with what you recorded. This leads to more extreme processing from tools like EQ and compression for a great sound. But when making beats, we tend to use digital tools! Tools such as synthesizers, which allow us to fully control the sound! Whether this be totally altering the sound by turning knobs on the synth, or changing the MIDI notes played in the piano roll. In the digital world, you as the music producer are in full control. With that said, I’ll break this down into two categories; recording songs and making beats. I’m going to start with making beats. 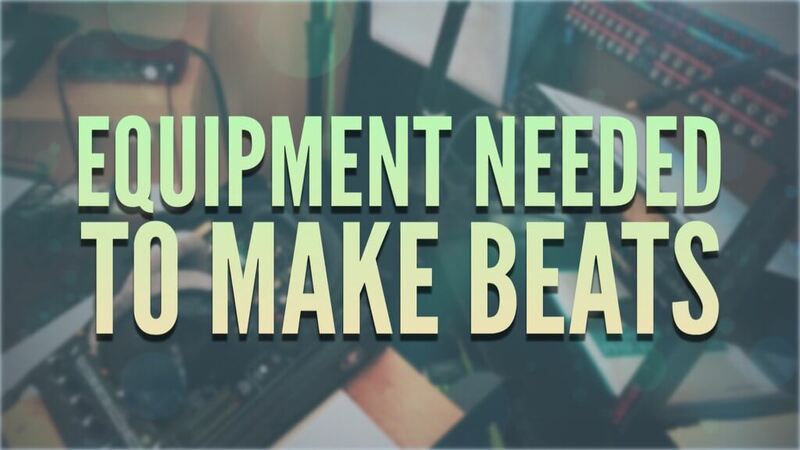 To record songs, you will typically need the same equipment as beatmakers, but also some additional equipment like a microphone. The most important part of your computer for audio production is your CPU. FL Studio also says that more cores is not better, and that the single core speed of your CPU is most important. Read FL Studio’s: What computer should I get for music creation? Regardless if your making beats or recording songs, a music program is required. I personally recommend FL Studio. They provide lifetime free updates, and have a super awesome support team. Their forums have a great community, and are an awesome place to gain knowledge and ask questions. High quality sounds are absolutely essential to create high quality beats. When I first started, I downloaded some freebies, as well as purchased some poor quality sounds from different vendors. But over the years, I have found my favorite sound kits, as well as my favorite sound kit vendors. These are by far the best I’ve found in the industry so far. You don’t need millions of sounds, because that’s expensive. In my opinion, what you want to have is a variety of sounds. This gives you versatility as a producer to create multiple genres. You can always manipulate these sounds into different sounds later on with effects! VSTs are virtual instruments which we as beat makers use for our instruments. They can be real pianos or digital synth-type sounds. When first starting, I recommend using presets. This will allow you to practice and make your beats faster. Once you get the hang of things, you can then dabble into some sound design and create your own sounds. Synthesis is a separate topic from making beats, and an overwhelming one! A MIDI Keyboard is a tricky tool to get your head wrapped around. A MIDI Keyboard is a controller. It has no sounds in it by itself! You may think.. why buy a $200 keyboard with no sounds in it? As I mentioned already, it’s a controller. It plays the VSTs we talked about above in your music program, and the knobs and buttons on the MIDI Keyboard allow you to control your DAW. You can control it by stopping/starting the song, hitting record, or turning the knobs on the MIDI Keyboard to tweak knobs inside your music program. I want to warn you about MIDI Keyboards though.. They tend to jam-pack features which you do not need, but are sure to increase the price accordingly! So that is the gear you’d need minimum to make beats. Notice I haven’t even suggested speakers yet. This is because when you are first starting, you should do things in order. That first step would be learning your DAW before getting into gear. After learning your DAW, and learning a bit about mixing.. I would then say you can get into reference monitor speakers, an audio interface, and a MIDI Keyboard. So then what other gear would you need for recording music? Knowing how to actually play an instrument or sing is crucial to make good music. You will have to learn about your gear and recording techniques, but without having the skills to perform, your recordings will always be wack! That’s why I say recording a song takes more skill than making a beat. There is way more room for error, and you have to know how to mask/hide these mistakes with effects like EQ and compression. To record yourself, you will obviously need some type of microphone to get your recording into the computer. There’s different types of microphones out there, which can be confusing at first..
My favorite microphone write-up will guide you through that, though! Depending on how serious you want to get with your recording, you have two options with microphones. USB Microphones are really easy to use. You simply buy the microphone, plug it in, adjust your volume on your computer, and you’re good to go! If you’re not super serious about recording, I’d say go this route. However, it doesn’t offer the flexibility of XLR connected microphones..
XLR microphones are when you start getting into professional equipment. The XLR connection is an industry standard, and will allow you to work with tons of different microphones over your years. The reason why XLR offers more flexibility is because over the years if you acquire more gear, you can plug your microphone into different hardware for different sounds. You also open the door to way more microphone options to choose from! But how do you plug in an XLR microphone? You will need an audio interface and XLR female to male cable. For just making beats, an audio interface isn’t totally necessary. You’d only need an audio interface if you wanted to plug in reference monitor speakers, which I recommend if you want to take your craft seriously. But for recording with an XLR microphone, you have to have an audio interface, otherwise you can’t connect the microphone into the computer! An audio interface is an external sound card that we plug in with a USB cable (there are other connection types like firewire and thunderbolt). It allows us to record with high quality microphones, and boost the signal with low-noise depending on the quality of the preamps inside the audio interface itself. Audio interfaces have what is known as AD/DA conversion. This means Analog to Digital + Digital to Analog conversion. When you record your audio, that is analog. Your audio interface has to take this analog signal, and then crunch a bunch of numbers to make it digital inside your computer. But in order to listen to that recorded signal back, it has to take the digital signal, and convert it to analog which is played through your speakers or headphones! Audio interfaces typically have ASIO drivers as well. These allow us to get low latency out of the the audio interface for optimal recording performance. So an audio interface actually does quite a lot for you as a producer! My first audio interface was extremely poor quality.. it barely powered my microphone! I pretty much had to turn the volume full when using the microphone! I eventually bought a second audio interface, and it was a huge upgrade! They were the exact same price, it was just a poor quality brand I guess on my first audio interface. So sometimes brands do matter.. Microphones, instrument, and speaker cables can get a bit confusing. I’ll give you a quick break-down before handing you off to my cable recommendations. Microphones typically plug in with an XLR connector. Most speakers allow for XLR cables, but also 1/4″ TRS cables as well! They both do the same thing, but are just a different type of connector. TRS stands for: Tip, Ring, Sleeve. It is a balanced connection which allows you to have longer cables without allowing noise to be introduced to them. Instrument cables are typically TS cables. (Tip, Sleeve). They usually don’t make these cables long because of the noise that can be introduced to them. Also, they way guitar pickups are built, they require a TS cable. A microphone stand is important so no noise is introduced other than the actual recording. If you tap a microphone during a recording, the recording typically is a write-off! Mic stands are usually really affordable. I currently have this microphone stand, and it’s been great! I’d also like to quickly talk about a pop filter. This is the round mesh circle you see in front of microphones. We use this to prevent plosives. Words that push out extra air than others, which are really dangerous to our recorded signal! If too much air comes out of a word, it can distort your recording, and it’s really hard to fix. Even if a recording does not distort, it create a low-end bump sound, which can easily be removed with a low-cut filter on an EQ.. But it’s just easier if you use a pop filter to protect your recordings. So as a beat maker, you can really get away without spending much money. You just need your computer, music program, and some sounds. Eventually you will want some reference monitor speakers so you can mix accurately, which you’ll also need an audio interface to plug the speakers into. But for recording a song, you need that audio interface if you’re using XLR microphones. Again, with the audio industry becoming affordable, you can probably start recording for just under $500, and achieve high quality music! This music industry is just a constant business trying to sell, sell, sell. It’s so easy to see all these products available, and get consumed! You will need to buy this gear mentioned to move forward with your productions, there’s no doubt! But wouldn’t it be nice if you only bought the gear you needed, and not have to learn the hard way? I’ve been here before! This is why I’m writing this for you! I’ve bought gear, and guess what? It’s still sitting on my shelf to this day. In it’s original box, not being used. Money is extremely valuable, so let me guide you along the way through this process! Plan ahead of time. Know what the hardware you’re buying is capable of doing, and if it will benefit you. I have a page where I share all the gear I use. Whether this be for tutorials, my vlogs, or personal productions. One thing I haven’t mentioned is multiple computer monitors. This is one thing that has significantly improved my workflow. We will cover workflow essentials in our later walk-throughs. Hopefully this write-up prepares you for effective purchases which save you money and give you results!